Popular Nollywood actress, Kemi Afolabi, recently shared her frustrations with the deplorable state of a government hospital she recently visited in Lagos. 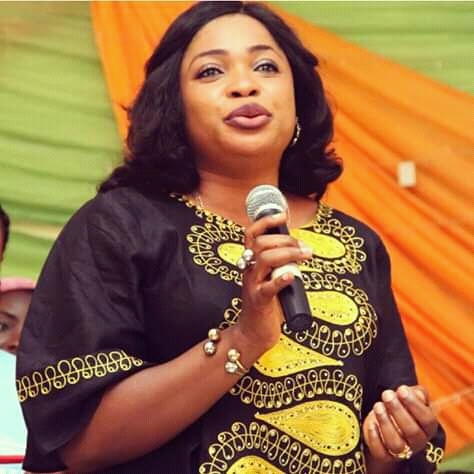 In an interview with Saturday Beats, she noted that she was scared for the future of her children in Nigeria due to the irregularities in some significant sectors in the country, like health. After she shared her frustration on her social media platform, some people noted that they were shocked she uses a government hospital, but she said it was sad people judge celebrities by what they see in movies. “It is sad that people judge us by the way they see us in movies. I am not rich, I am just a thriving career woman who wants the best for herself and her children. I believe that as an individual, I can walk into any government establishment of which the hospital I went to was one of them. I live in Ikeja, so going to the Lagos State University Teaching Hospital wasn’t a bad idea. The government has a whole lot to do. “There should be government hospitals in residential areas; it doesn’t cost the government anything to do that. The government owes the masses adequate health facilities and good health care. I am going to make more noise about this; they need to start renovating these hospitals. A hospital should be a place where people go to and feel comfortable, not going there and coming back with another ailment. I am sure the government is disbursing funds to the health sector, but it is probably being embezzled. “I saw a lot of people sleeping on the floor, the drip stands were not sufficient. It is not mere hearsay, I saw these things myself. Bed spaces were not even enough, basic things need to be provided. These are minor things that the government needs to look into. I don’t even think the doctors are properly paid. “I am extremely scared of the future of my children and the generation to come in this country. I am doing this for the next generation. These people are just wicked, they go to treat themselves abroad and they know how things are done over there. I have lived abroad for about five years and I know how things are done. “Here, even the air you breathe in the government hospitals is irritating. This is for the future of our children; I was abroad because my husband was based there. I had to come back to focus on my career. For people that have not come back, they have their reasons. When they even hear about the bad things happening in this country, will they want to come back?” she told Saturday Beats. Speaking about her recent movie, she revealed that she was discouraged by some people when she decided to take it to the cinema. She further talked about why she chose to shoot an all-female cast movie, adding that she used it to address some issues surrounding women and relationships. “If we can watch other movies in the cinema, then we can also see Yoruba movies. My distributor told me he was surprised by the performance of the movie in the cinema. We can’t even speak the English language properly like the owners so we need to embrace our culture. “I got the idea for my recent movie when I saw the need to reach out to women going through one phase or the other in their relationships and with their spouses and the likes. I wanted to reach out through this medium to proffer my own solution. I wanted to give women a voice. I wanted them to know that there is a reason why God created men and women to coexist. I wanted them to know that we need one another, regardless of how bad a person’s character is. “At some point, break-ups and people walking out of their marriages due to domestic violence and other vices were becoming rampant. I had to reflect to see how marriages were handled in the past. For example, my grandpa had seven wives and my grandma was the fourth. I thought to myself that how did grandma cope in that kind of scenario; I realised that patience is a virtue. “It is not everything that happens in a home that should make people want to walk out of their marriage, we have to learn to coexist and handle our relationships by dealing with each other with wisdom. If women continue walking out of relationships, they don’t know what they are going to face in the next relationship. “Above all, patience is key. I am happy the movie is doing very well, even though it is in the Yoruba genre. I wasn’t scared of being tagged a feminist. People even told me the movie won’t be accepted in the cinema because it was a Yoruba movie but I wasn’t discouraged,” she said.